This month I’m sharing photos and blog posts from A-Z. I’m excited about trying something new. I hope you’ll stop by often throughout the month. Enjoy more about haiku form and samples by three poets. In another achieved blog post, Maureen shares her beautiful quilt art and a comment about her work: “Personally, I like my wall-hangings and quilts to tell a story.” Maureen achieved that and much more. This lovely quilt art was a gift from Maureen when my husband was very ill. It hung over my bed during his sickness and today it’s displayed in my dining room for the enjoyment of all who enter. Maureen also mailed me original haikus and sometimes handmade cards each week during his extended illness. I kept them all! She richly blessed my life. 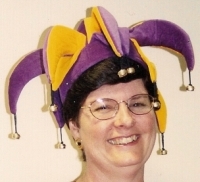 I miss Maureen and remember her fondly, especially when I read or hear haikus! What “H” words come to mind for you? I hope you’ll share why they’re special to you. Trying new things is fun. In January, I accepted a blog challenge to jot something down each day and post it. 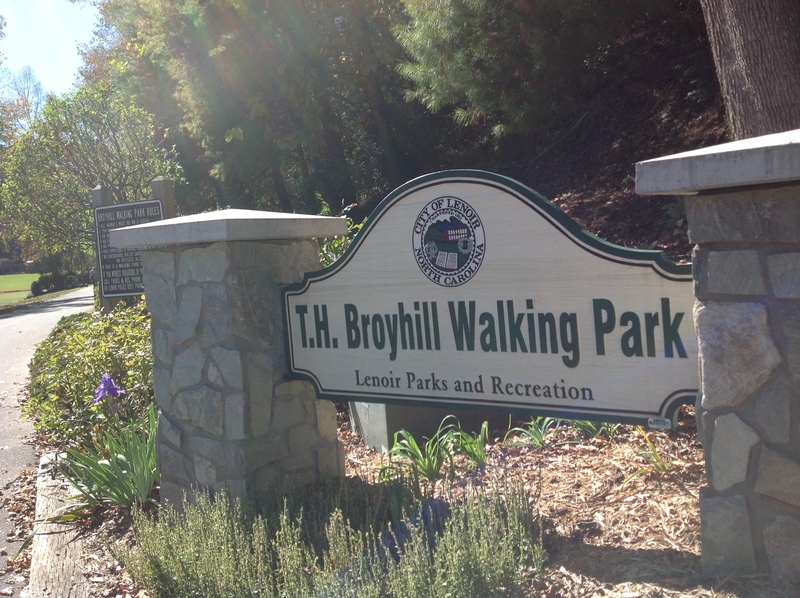 This was organized by Linda G. Hill. It’s Fall or Is it? Excuse this interruption, but.. have you commented on Deanna Klingel’s guest post for a chance to win a handmade Origami bookmark? It’s a great way to celebrate World Origami Days and Deanna’s upcoming book, Blue-Eyed Doll. Enter by 7:00 p.m. on Oct. 31, 2015. Click here to leave a comment: https://lindamartinandersen.wordpress.com/2015/10/20/celebrating-world-origami-days-with-deanna-klingel-bookmark-giveaway/ Thank you. Another request, please consider sending a poem or get well message to Joy Acey, a poet and friend, who has been unable to post to her daily poetry blog recently, due to a hurt hand. Click here to cheer her day: http://poetryforkidsjoy.blogspot.com/ Thank you again. Irises usually bloom in spring. I promise I photographed these the same day as the burn bushes glowing red with fall color. How can this be? 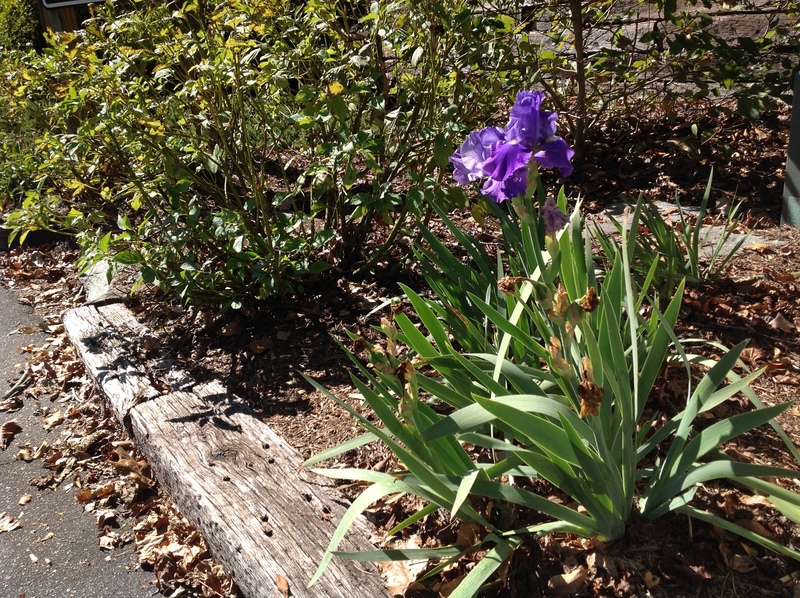 Were the irises transplanted and then burst into bloom on a warm fall day? I don’t know. Any other thoughts? A lion who is cowardly (Wizard of Oz). Other book characters? Joy is at home anywhere. Check her bio information to learn about her many adventures. I’ve enjoyed reading poems inspired by desert, paradise (Hawaii), Rainforest, Carolina country, morning walks, and views from her window. I hope you will visit her often too. This is where I work and Joy is the poet I’ve chosen to feature. To kick that off, here’s one of my favorite book characters. Like Frederick, Joy Acey is a poet. Joy reminds me of Frederick in that she gathers things she sees and hears and turns them into poetry. Unlike Frederick, she creates and shares her poetry every day. EVERY day. Can you imagine? I tried that for a full year once and I did accomplish it, but I wouldn’t share my poems. Joy shares her creations on her blog every day. Her poems brighten my life. Joy’s post about idle hours inspired me to select her as my poet to take to work. Keep writing and posting those poems, Joy. I’m glad I can take you to work every day of the year! Thank you for sharing poetry for kids joy, and those young at heart. Please leave a comment and share the name of the poet you’d like to take to work with you today. You can take a poet with you in a book, a poem, or in your imagination, even if you can’t take them in person. Have fun with your poet today! I hope you’ll leave a comment. Thanks for stopping in. Come again soon and bring a friend. Please remember that children 13 and under need an adult to comment for them. Thank you! April is Frog Month. It’s also National Poetry Month. And since Joy Acey is “The Princess of Poetry,” she seemed a natural for an interview that combines frogs, poems and a princess. Thank you for accepting this invitation, Joy Acey. Please give Joy a big Writer’s Playground welcome! Q: When did you begin writing poetry, Joy? A:I think I’ve always written poems and little rhymes. I probably was pushed out of the womb on an iambic pentameter beat. In Junior High my English teacher encouraged me to enter a Scholastic writing contest and one sponsored by the American Red Cross. I didn’t win, but the rhyming was just a fun thing to do. I invented little songs and had fun experimenting. But I didn’t study poetry until I met Bernice Cullinan, editor of Wordsong, the poetry imprint of Boyds Mill Press. I was standing next to her waiting for a bus at Chautauqua while two other women chatted with her. Bernice turned to me and asked about the poetry I wrote. I hadn’t said anything about writing poetry to her, she somehow intuited we should talk about my writing. She took my poetry seriously and that made it OK for me to take it seriously too. Q: What a great way to come into the world. I know you’re called “The Princess of Poetry.” When were you dubbed with this title? A:The “Princess of Poetry” title came when I was working with children in the Durham County Schools. We lived for a year in Great Britain and it was interesting to me how the locals were fascinated with the Royals. The citizens took responsibility for helping to raise the princes and princesses. So, I wanted the Durham students to know they could be princes and princesses too. All they had to do was try everyday to do their very best (so striving to be better becomes a habit.) As the Princess of Poetry, it was their job to help me try to do my very best. If I wasn’t doing something right, I needed their help to do better. Actually, once I accepted the title, I needed a tiara and I had a good time shopping for just the right one. I wore my tiara when I wrote. This turned out to be a really fun thing. I got several published articles out of the process. Q: Joy, I love that you invited your audience to be princes and princesses too. I enjoy reading and following your blog post. 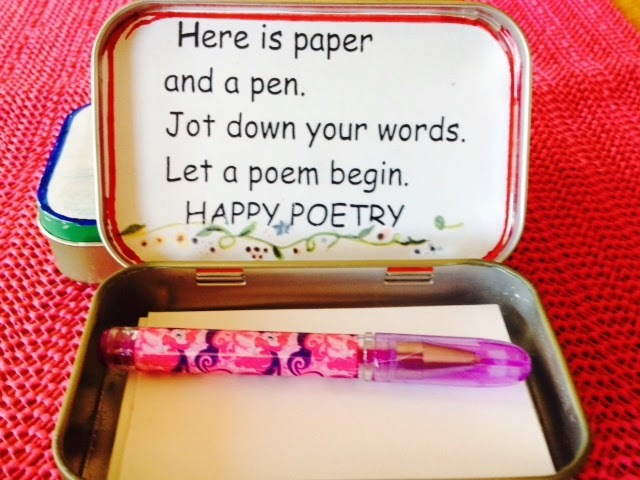 I am amazed that you write and post a poem daily at http://poetryforkidsjoy.blogspot.com/ How and when did “Poetry for Kids Joy” begin? When I saw what she was doing, I realized I could do a blog for children’s poetry. I started on April 20, 2011. 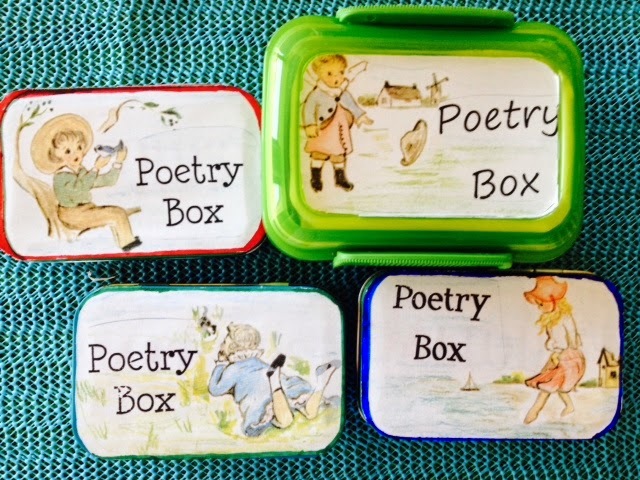 I named the blog Poetry for Kids Joy because I wanted poetry to make kids happy. The title still fits. In fact, you’ll find a little poem I wrote in third grade at that first post. I can’t believe I didn’t include an introduction or a welcome. There isn’t even an announcement for a new blog. I started the blog because I wanted to force myself to write a poem daily. I journaled daily, and now my journaling includes a poem and my poetry has gotten better with the practice. I just checked the statistics on my blog and I’ve posted over to 1450 poems and have had over 180,000 page views. There are folks in Canada, England, Australia, Italy, France, Africa, Russia, China, South America and lots of places I’ve never been, who follow my blog. This is so much fun. I have met so many interesting people on my blog. Q: Impressive stats, Joy. You’re so dedicated. What poetry groups or workshops have inspired your writing journey and in what ways? A:I’m a firm believer in professional growth. I’ve attended poetry workshops at The Frost Place, The Vermont Studio, Breadloaf, Wildacres, Georgia State College, NC State College, Pima Community College, Chautauqua, Highlight’s Educational Foundation. I made the decision early on that I wanted to focus on Poetry—Poetry for Children. In general, I skip the workshops that cover all genre because I don’t want the work watered down with fiction and nonfiction. Poetry is my thing. Q: Please name three favorite poems by current poets. A:Poems, 1, 2, 3 are all in this year’s Newbery winner THE CROSSOVER written by Kwame Alexander. This is a brilliant book that includes wonderful poems and great life lessons for kids. If you haven’t read this book yet, you must. Here’s a piece of trivia for you. What children’s poet collects frogs? The answer is Jack Prelutsky. Everything he’s written is worth reading. Q: I’ve got to read The Crossover. Where have your poems been published? A: I have poems in all of the POETRY FRIDAY ANTHOLOGIES. The most recent is the PFA for CELEBRATIONS. My poem “Camping”is for June’s National Camping Month. The Poetry Friday Anthologies are compiled by Sylvia Vardell and Janet Wong for Pomelo Books. There are 115 poets and 156 poems presented in English and Spanish in the CELEBRATIONS Anthology. Just reading the Poetry Friday Anthologies is a great way to find out the current state of poetry for children. I’ve learned a lot from these books. Q: An anthology is a great addition to a home library. Just for fun…Have you ever kissed a frog? Have you considered it? Have you been asked this before? A:Actually I have kissed a frog (a lot of two legged toads too.) My daddy used to go frog gigging in the summer and I’d go with him occasionally. I’d play and joke with the frogs. If you pull the leg tendons you can make a dead frog kick. I tortured my sister with the dead frogs. I’d help my dad dress the frogs by pulling the leg skin off. No one has ever asked me this before. Q: Loved your sense of adventure. 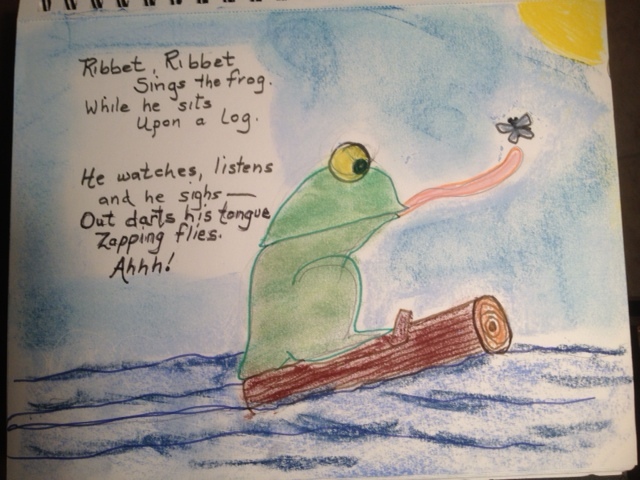 Would you share a frog poem or two that you have written? Thanks for having me Linda. This has been fun. April 12, 2015 is Drop Everything and Read. (D.E.A.R.) If you’re a kid, make time to read this day, just for fun. If you’re an adult, do the same! If you still have items on your “To Do List” by late afternoon that day, can you put it aside and read something for pleasure? Will you? Warning: don’t get so engrossed in reading that you forget to pick up your child, forget to do your homework, or walk out in traffic, but do make time to read. April Fools or All Fools Day: 1 Do you have little brothers or sisters? Teach them to tell an April Fool’s joke, if they don’t know how. Demonstrate for them and then let them practice on you before trying it out on someone else. Have fun! International Pillow Fight Day: 4 Would you rather have a pillow fight with a foam pillow, a feather pillow, or a bean bag pillow? Why? Passover: 4 Who celebrates this religious holiday? Why is it remembered? Easter: 5 Why is this religious holiday important to Christians? Name three of your family’s Easter traditions? Which one is most special to you and why? International Beaver Day: 7 Have you ever seen a beaver? What was he doing? Have you ever seen a beaver dam? How can beaver dams be harmful to property? Research to learn about beavers, their dams, trappers, and more. National Farm Animals Day: 10 Have you ever been to a Barnyard birthday party? I haven’t, but I know someone who organized one for her triplets’ birthday party. What fun those kids must have had. If you attended a barnyard party, what animals would you expect to see? Name one or two you would be willing to pet. Bicycle Day: 15 What did your first bicycle look like? What tricks can you do on your bike? Ask a friend to take a brainstorming contest with you. Name as many types of bikes as you can in one minute. What are some jobs that are done on a bicycle? Ellis Island Family History Day: 17 If you are an American, can you trace the way your family came to the USA? How would you have liked to come? 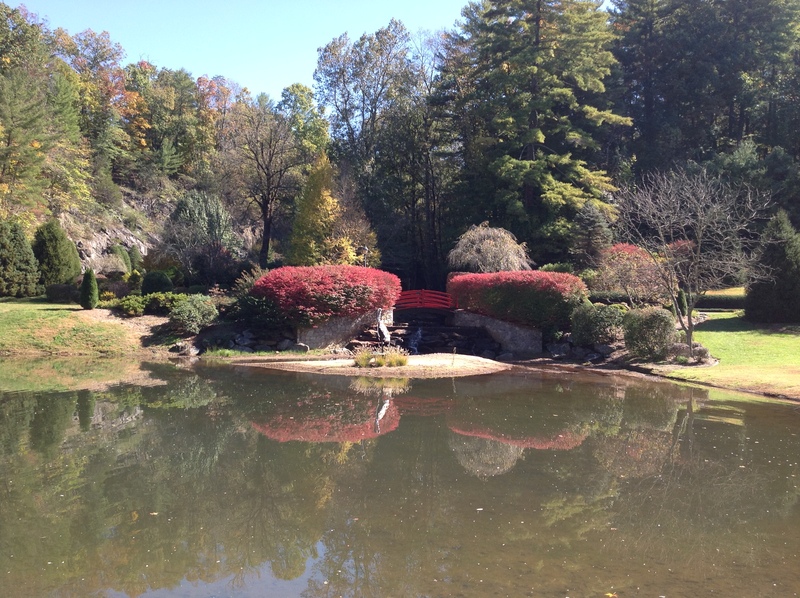 National Haiku Poetry Day: 17 Choose a nature topic for April. Write a three-lined haiku poem of 5 syllables, 7 syllables, and 5 syllables. I’ll share one of mine if you will. Movie Theatre Day: 23 Do you love to go to the movies? Who takes you? How often do you go? Name a movie you have seen several times. Why did you agree to watch it so often? World Penguin Day: 25 Have you ever seen a penguin? Where were you? Was he taller or shorter than you? International Dance Day: 29 Is there an international folk festival in the area where you live? What country’s dance would you like to learn? What dance costume would you like to wear? What country could your family represent? How can you find out? Describe that country’s flag. International Guide Dogs Day: 29 Name a time and place you saw a guide dog or a service dog. What should you remember when you approach a service dog? Do you know anyone who trains these animals? Research to learn more. World Wish Day: 29 Name three wishes you would make for the world. Why these? Zipper Day: 29 When did clothing first use zippers? Name something you own with multiple zippers. A backpack, a purse, a suitcase, etc. Do you know how to fix a zipper that gets stuck? Can you sew zippers in clothing? If so, you’d probably be called a seamstress. What name can you make up that seems more appropriate for those who sew zippers? National Robotics Week: 4-12 Where have you seen robotics at work? Where did you learn about this? If you could create your own personal robot, what chores would you program it to do? Explore Your Career Options: 5-11 What grade do you select a career path in your school? What career do you plan to follow? Have you ever observed someone in this line of work? What skills are needed? How many years of education? National Blue Ribbon Week: 5-11 In Fair Cow by Leslie Helakoski, Petunia the pig, a blue ribbon winner at the fair, tries to coach Effie the cow so she can be a winner too. A fun read. National Library Week: 12-18 The library has a calendar full of free fun events for people of all ages. What programs will you attend this month? National Playground Safety Week: 20-24 Have you ever found a loose bolt on a piece of playground equipment? Have you ever torn your clothes on a piece of equipment? Who services the playground equipment in your area? Do volunteers help keep the grounds clean? What can you do? Celebrate Diversity Month Let’s celebrate how we are alike and how we’re different. How can we do that? Child Abuse Prevention Month Every child should have a safe home environment. Some do not. Why? Frog Month My husband loves frogs and he has an April birthday. Good reason to spotlight him. 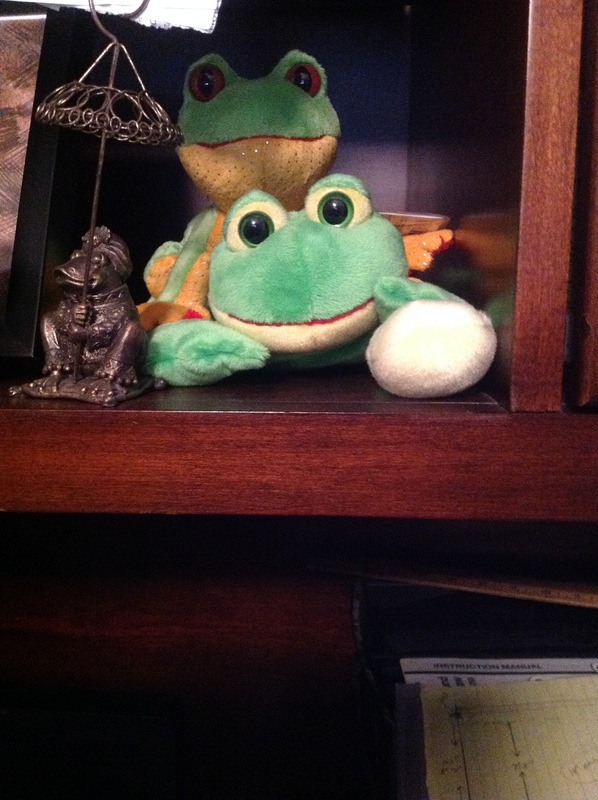 He has frogs that are stuffed animals, ceramic, and metal. Frogs can be found throughout our house. Who has a special collection at your house? Do you? What is it? Jazz Appreciation Month–I’m taking a workshop this month called “Picture Books and All that Jazz.” Does the word “jazz” in the workshop title mean the same as “Jazz” here? What is the difference, if any? What is Jazz appreciation? What does that mean? Keep America Beautiful Lately, I’ve noticed more and more paid workers picking up litter along the roadsides. What can be done to build up community pride to keep America beautiful? Month of the Military Child Do you know a child with a parent in the military? How many times has this child moved in his/her life? Why do you think there is a month to celebrate the Military Child? National Kite Month Which would you rather ride: a kite, a hot air balloon or a magic carpet? Have you ever flown a kite with a group of people? On the beach? in an open field? On a school yard? What experiences can you recall about flying a kite? National Pet Month Name the type pets you’ve had. Which was your favorite? Which one got in the most trouble? What did he do? My sister asked me to redo a floral arrangement I had made for her several years ago. It needed a pick-me-up. I finished the changes on February 24, a snow day in Fayetteville, NC. 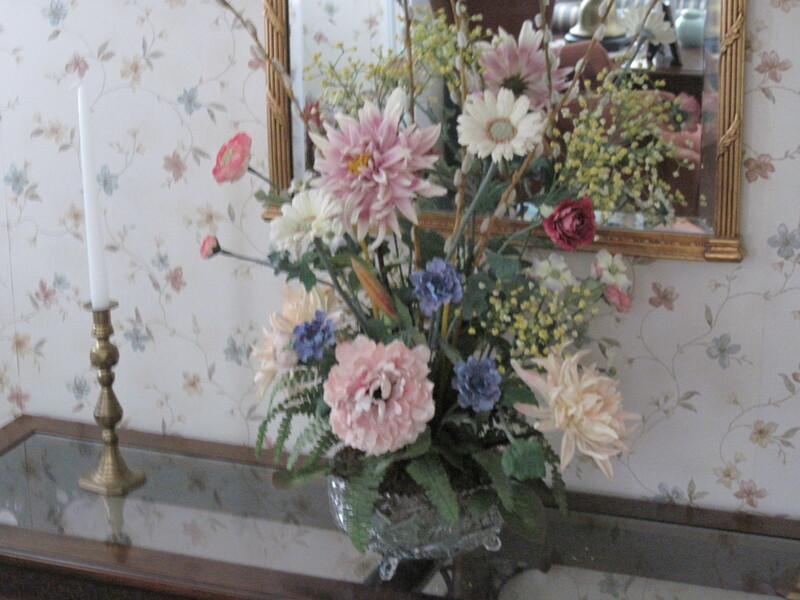 Even though I love the occasional snow here, I was glad to see spring burst on the scene, even if it was in my foyer. 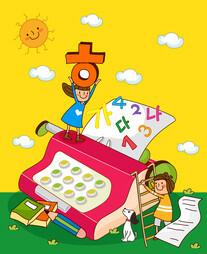 I hope something from the March calendar events will put you in a creative or playful mood. Enjoy! American Red Cross Month or Red Cross Month–Name a time the Red Cross helped someone. What did they do? Do you know any Red Cross volunteers? Research and learn more about this organization. Deaf History Month (3/13 to 4/15)—What books have you read with a character who is deaf? Does the character speak and sign? Are any of your friends hearing impaired? Do you know any students who have someone who signs for them? Where can you learn sign language? Expanding Girls’ Horizons in Science & Engineering Month–Why is this called “expanding girls’ horizons?” Why do you think girls might need this? Discuss this with others. Mad for Plaid Month—Name three things you usually find in plaid. Are you mad for plaid or do you dislike it? Why? Music In Our Schools Month–If you could choose the music for your music class what would you choose? Why? What is your favorite instrument? Favorite musician? Favorite type of music? National Kite Month (3/28-5/3)—Maybe you’d like to fly a kite this month. When did you last do this? Where were you? Was it during March? If so, was it a “lamb” or “lion” day? What do I mean by that? What does it mean when you tell someone to “go fly a kite?” Draw a kite design and a setting that hints about your day. Think Charlie Brown, kite, and a tree. Do you remember what Charlie Brown called that tree? National Nutrition Month–Name as many healthy foods as you can in a minute. What healthy substitutions could you make in your diet? For example, substitute water for soft drinks. Will you try one healthy substitution for a week? Women’s History Month–Who is a famous woman in history that you admire? What did you admire about her? What do you have in common with this person? How would you like to be remembered? Youth Art Month–Name places where youth art would be on display in your area. Where could you go to see more? Celebrate Your Name Week: 1-7–Do you know anyone with the same name as someone famous? Surely, there’s another Michael Jordan around. What do you know about your name? Are you named for a relative or someone famous? Who chose your name? National Pet Sitters Week: 1-7–Have you ever worked as a pet sitter? If so, what were your duties? How would you rate your pet sitting skills on a scale from 1-10? Why? Would you rather pet sit or baby sit? Why? National Procrastination Week: 1-7–What is procrastination? It is usually seen as a problem. When have you procrastinated? Any tips for someone with this problem? Return The Borrowed Books Week: 1-7–Do you have any overdue library books? Have you ever paid an overdue fee? Have you ever lost a library book and had to pay for it? What are ways to prevent this from happening? Can you renew books online? Where do you place borrowed books when you take them home? Is there a better place for them? Save Your Vision Week: 1-7–Does your school regularly check students’ vision? This could help detect vision problems. What are other ways to save your vision? What are some things that can damage vision? Severe Weather Preparedness Week: 1-7–What severe weather preparations does your family make? Have you ever gone without electricity or water for a long period of time? Do temporary shelters open in your area? Have you ever stayed in one? Women in Construction Week: 1-7–A friend of mine is getting a new house built. A woman is her construction contractor. What women do you know in the construction field? What construction work can you do? What construction work would you like to learn? Who could you ask to help you? Women of Aviation Worldwide Week: 2-8–What is an aviator? Whose name comes to mind when you hear women aviators? What deed is she best known for? Check your facts. Add a few more to your memory bank. Ask family members the same questions. Have them check their answers and add to their knowledge. National Agriculture Week: 8-13–What agricultural products is your state or area known for? Have you ever worked on a farm? Have you raised any of your own food? Have you ever picked fresh corn or selected a pumpkin from a farm. I grew up gathering things from our family vegetable garden. Last year, I had a dairy farm treat. I ate ice cream produced fresh at Maple View Farm in Hillsboro, NC. Learn more here. Girl Scout Week: 8-14–Say “Girl Scouts” and most people think…cookies. I know I do. Do you? Are you a Girl Scout? Have you been? What’s your favorite Girl Scout cookie? Wildlife Week: 16-21–What wildlife have you seen in your backyard? On road trips? Other places? Have you ever seen posted signs asking you not to…feed the ducks or other animals? Why do you think that is a rule there? Should you respect the request? Why or why not? World Folktales & Fables Week: 16-22–What old stories do you like to hear? Can you tell any of the Aesop Fables without having to read them? Try it. International Tree Climbing Days: 21-22–Do you have a favorite tree for climbing? Do you read, write, or draw while in the tree? Do you have a tree house or know someone who does? What about a tree swing? If you have no place to play in trees, use your imagination to take you there. Oh and be careful about tree climbing. Do it with parents’ permission and always with landowner’s permission. Tsunami Awareness Week: 22-28–What is a tsunami? Describe its power and the damage it can cause. How would you prepare for a tsunami? American Crossword Puzzle Days: 27-29–Do you solve crossword puzzles? Do you find them online, create your own, or buy crossword puzzle books? National Week of the Ocean: 29-4/4–What would you like to see or do in the ocean? Have you ever been on the ocean? What were you riding on? A motor boat, a yacht, a cruise ship, etc. Dr. Seuss Day: 2–Thank goodness Dr. Seuss (Theodor Geisel), didn’t give up even after 27 rejections. We like to hear his silly stories again and again. National Grammar Day: 4–Do you have an ear for grammar errors? What grammar errors do you often hear? Do you have an eye for grammar errors? What words trip you up? What can you do? Toy Soldier Day: 4–When I hear ” Toy Soldier,” I recall the dance from the “Nutcracker Ballet.” What do you think of when you hear “toy soldier?” What books, movies, etc? World Read Aloud Day: 4–Check out Amy Ludwig VanDerwater’s poem called “Reading Aloud.” Also read “This Home” inspired by a child who makes a paper house for her toy turtle and classmates join in the fun. World Day of Prayer: 6 (Always First Friday)—Is there prayer at the flag pole at your school on this day? What do wish all the world would pray for? National Cereal Day: 7–What are some of your favorite TV commercials for cereal? What are some of your favorite cereals? Which of the cereals you eat do you think is probably the healthiest? How did you decide? Daylight Savings Time Begins: 8 (One hour ahead)–If you get confused about whether to move ahead or behind an hour, here is a saying to help you remember: “Spring forward. Fall back.” Have you ever been late on the morning following the change in Spring? Have you ever been an hour early in the Fall? International Ask A Question Day: 14–What job/career encourages a person to ask lots of questions? Any others? Ask someone else this question and see if your answers are the same. Awkward Moments Day: 18–What are some awkward times you remember? Share them with someone. Maybe the whole family will join in. When I was a teenager, I remember some TV commercials products made me feel awkward if my boyfriend was over. World Day of Theatre for Children and Young People: 20–Have you ever been in a play or other production before an audience? What about a program at school? Does your area host summer theatre camps for children? Do churches in your area put on productions? Would you like to perform? Where can you find out about acting? International Day of Forests and The Tree: 21–A tree farm grows in front of my house. I would like to know more about forests. If we are lucky, a guest blogger will share a bit of his knowledge with us this month. Stay tuned! What manners do you call your strengths? Which ones need some improvement? How can manners be improved? Where can you practice? Poetry Day: 21–Write or read poetry today. Find seasonal poems, poems about animals, poems about school. Choose other topics. Read poems by three favorite poets. Read poems you haven’t read before. Look for a poems by a poet you do not know. Do you have a new favorite? International Goof-off Day: 22–What is a “goof-off?” When have you been one? What day of the week would you say you might be the most likely to goof-off? Why? Tuskegee Airmen Day: 22—Who are the Tuskegee airman? Why are they honored with a special day? When was this group formed? Why? Have you ever seen a movie or special program about the Tuskegee Airmen? Where were you? Share something you learned. Please leave a comment. Come again soon and bring a friend. Decided to make an apple pie. Baked, cooled, and sampled it. Naughty me–didn’t share a bit. When I was a child, my grandfather used to say that if the first words spoken in a new month were, “Rabbit, rabbit, rabbit,” you would have good luck. Occasionally, I remembered. When I read Tim Livingston’s recent post entitled “Forestry Friday…Otter, Otter, Otter,” the title’s repetition reminded me of the rabbit superstition. Perhaps saying otter three times will bring you good luck or fun, fun, fun. Tim’s blog is definitely, a fun site to visit. National Grilled Cheese Sandwich Month As a child, this was one of my favorite things served in the school cafeteria. What is one of your favorite dishes? National Kite Month Have you ever flown a kite? If not, I hope you won’t let April slip past without trying it. 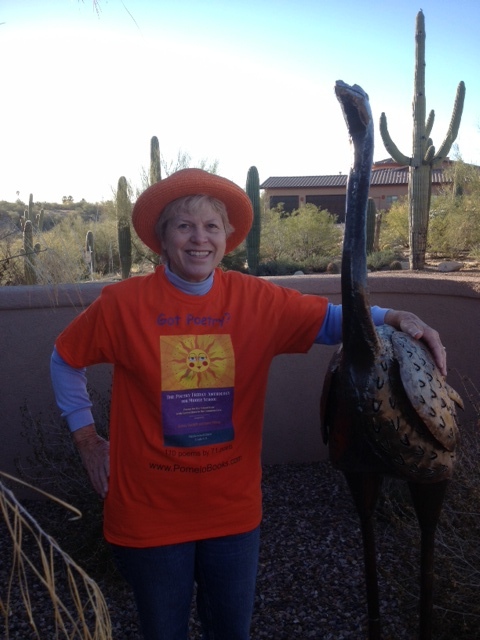 Straw Hat Month Describe your favorite hat and tell where you like to wear it. Golden Rule Week: 1-7 Can you quote the golden rule? What helps you keep it? National Park Week: 19-27 How many can you name? How many have you visited? National Peanut Butter and Jelly Day: 2 What flavor jelly do you like with your peanut butter? Do you ever eat honey instead? D.E.A.R. Day (aka Drop Everything And Read): 12 What are you reading now? Eeyore’s Birthday Day: 26 Do you know who Eeyore is? Where does he live? Name two of his friends. Which one are you most like? Why? Richter Scale Day: 26 What does this scale measure? Why is it important? Save The Frogs Day: 26 My husband loves frogs. Do you? Why do you think there is a day for saving the frogs? Research to learn more. Holocaust Remembrance Day: 27 What have you read that tells of this period in history? Welcome to “A Writer’s Playground”–A place to find wordplay, writing, and monthly calendar activities for kids and those young at heart. On my December 1 blog post, I made these comments about National Haiku Poetry Day: National Haiku Poetry Day: 22 What is a haiku poem? What is the formula? Where can you find this information? Now that you know how write a haiku, pick a winter topic and write one of your own. I love haiku poetry and so I invited some of my favorite haiku poets to discuss this art form, share their work, and inspire you to write your own. It is my pleasure to present three guest poets. Please join me in welcoming … Maureen Wartski, Joy Acey, and Robyn Black. Maureen will introduce us to the history and form of haiku, followed by haiku poetry about winter or Christmas. Haiku has its roots in Japan’s Heian period (700-1100) when a knowledge and appreciation of Chinese poetry was de rigeur in high society. Eventually, a poetic form called the tanka, a 5-7-5 triplet followed by a seven syllable couplet, took hold. Nobles who sat around viewing cherry blossoms while drinking sake elaborated on the tanka, but by the mid sixteenth century ordinary folk developed a ‘peasant’ poetry that was truly Japanese. Called haikai, this ‘peasant’ poem consisted of a beginning triplet called hokku followed by a linked poem. Eventually in the 17th century, Basho shed the linked poem. The hokku, which needed a seasonal word and an ‘aha’ moment at the end became known as an independent poem called haiku. I have always enjoyed reading and writing haiku. When I was a little girl in Japan, I used to put together (very bad) haiku in my head. Later, I continued to enjoy the sparse and elegant form of this poetic form. Short, quick, sometimes surprising, haiku goes to the heart of any experience. It paints a picture, offers an observation. And often the triplet of 5-7-5—or, occasionally 7-7-5 syllables stays in the heart or the mind for a long, long time. As for the season word needed in a haiku, they needn’t be complicated. For winter, this can be as simple as ‘cold, cool, north wind, snow, sleet, etc. ’ or delve deeper with ‘withered garden, cough, frozen butterfly, holly berry, etc.’ I’ve used a lot of season words because I have been writing a haiku a day for some time, culling them at the end of the year into a work called ‘A Year of Haiku’. Here are a couple of winter poems from Volume Three, Echoes. I invite you to visit Maureen’s blog where she shares life experiences through conversation, haiku, and art quilts. Lovely! perfect way to end this haiku, so I bent the rules. Every day, Joy Acey posts a poem for children at http://www.poetryforkidsjoy.blogspot.com/2013/12/smile.html It is one of my favorite places to visit. She encourages children to write poetry too. Joy shares a variety of poems. Some are haiku. I met Robyn at a poetry workshop for writers that she organized. Thanks to Robyn, I have a poetic license, along with everyone else who attended. How fun! Maureen, Joy, and Robyn, thank you being guests here today and for sharing your poems. Happy National Haiku Poetry Day. Thanks for making this day very special. Please leave a comment about one or more of the haiku poems above or share one of your own. Thank you for visiting “A Writer’s Playground.” Please come again soon. Bring a friend. I appreciate any children who visit this site, but you must be 14 or older to leave a comment according to Children’s Online Privacy Protection Act. (COPPA) See: http://www.coppa.org/coppa.htm Perhaps an adult would comment for you.